If cheap wrapping paper is used on your vehicle, then you can expect it to have a shorter lifetime than if you were using high-quality vinyl paper. Additionally, it won’t protect your car the same way against rips, stains, and scratches. With that in mind, it is better you pay a little more to protect your investment. 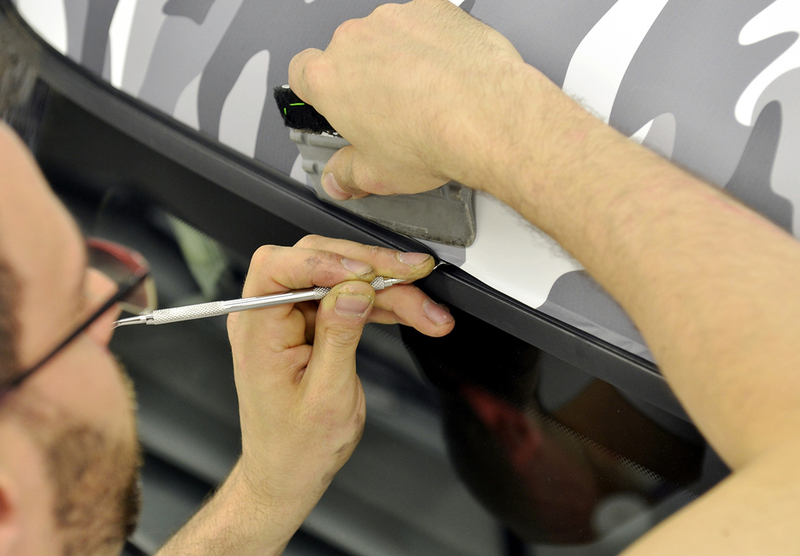 Installing vehicle wraps is a process that needs to be done by professional technicians in order to guarantee a job well done. If the installation is not done correctly, it can cause problems. Do your research and choose only a shop that offers certified manpower; that way you can be sure that your vehicle is in the right hands. Also, make sure that the materials and equipment used are adequate and of premium quality. BIG DOG Wraps & Graphics uses AVERY Dennison premium cast vinyl and always adds the extra protection with AVERY cast laminate. We are dedicated to the success of your business. Our professional installers are ready to do the job! Give Big Dog Graphics a call today!